“Hercules Saves Christmas” is a two-hour movie featuring what Animal Planet calls “Hercules, America’s favorite pit bull and star of Animal Planet’s hit series ‘Pit Boss.’ ” The movie was produced by “Pit Boss” star Shorty Rossi, who also lends his voice to Hercules, and many of his costars also appear in the movie. In the movie, Hercules is Santa’s pit bull, who is in charge of Santa’s naughty and nice list. 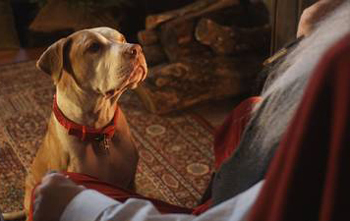 The dog promises to help a lovable but mischievous 12-year-old orphan, Max, get on the “nice list” if Max helps a bitter man who has lost his Christmas spirit. Funny antics ensue, as only Max can see the magical pit bull. All seems to be going well for Max and Hercules on their journey to help the man until an evil elf summons a devious woman to get the magical collar from Hercules and destroy Christmas. Through this journey of saving Hercules and saving Christmas, Max also finds his own missing Christmas spirit. One interesting tidbit is that in write ups about the movie, some mention he is a pit bull, others do not. 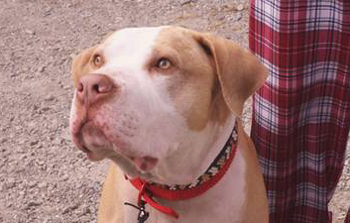 Perhaps by not mentioning it, it is a way of just showing pit bulls as dogs, not singling them out in any way. 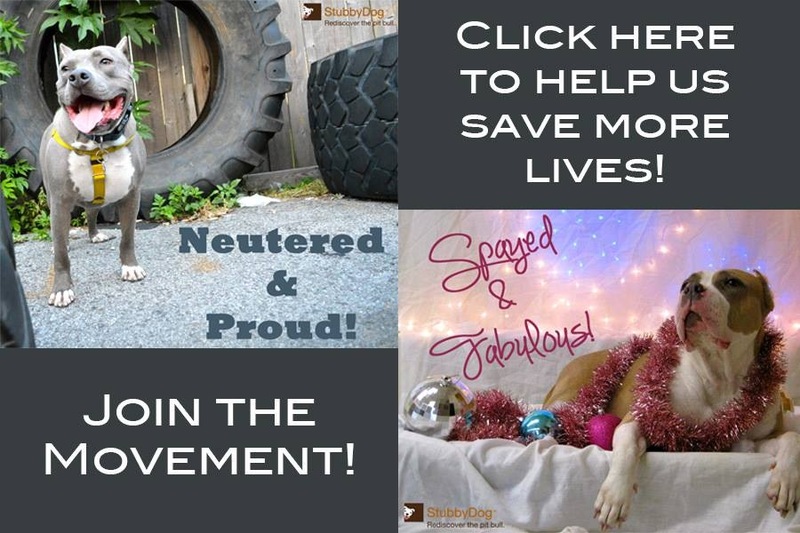 Others mention Hercules as being the “most famous pit bull” or “America’s favorite pit bull.” Either way, it’s showing pit bulls in a positive light, and that’s always a good thing! The movie is a story of good triumphing over evil and about keeping the spirit of Christmas alive all year long. It has all the elements of becoming a Christmas classic. A Christmas classic starring Santa’s pit bull? Who doesn’t want that? You can order your own copy of the feature here. Proceeds will go to Shorty’s Charities, Linda Blair Worldheart Foundation, Karma Rescue, Fur Baby and Doors of Faith Orphange. Hercules Saves Christmas will air on Animal Planet on Dec. 24, at 10 a.m.
Wicked! Can’t wait to watch this movie. GO HERCULES GO SHORTIE!!!!!!! Dhaygo and I will surely want to have this at home.